Innisbrook Golf Course ARE YOU A VENDOR? 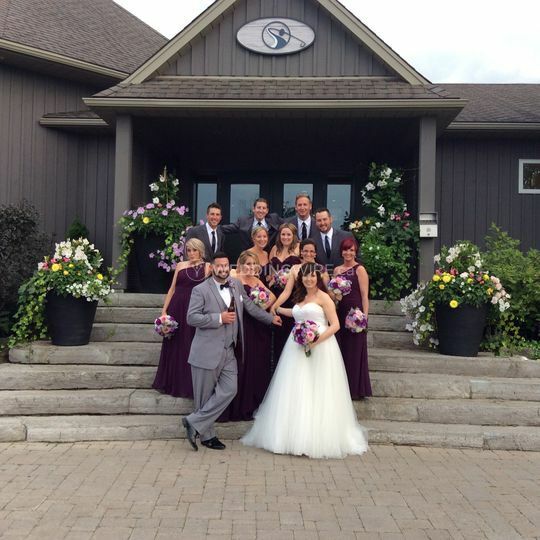 Situated in Barrie, Ontario, Innisbrook Golf Course is a splendid option for wedding celebrations. 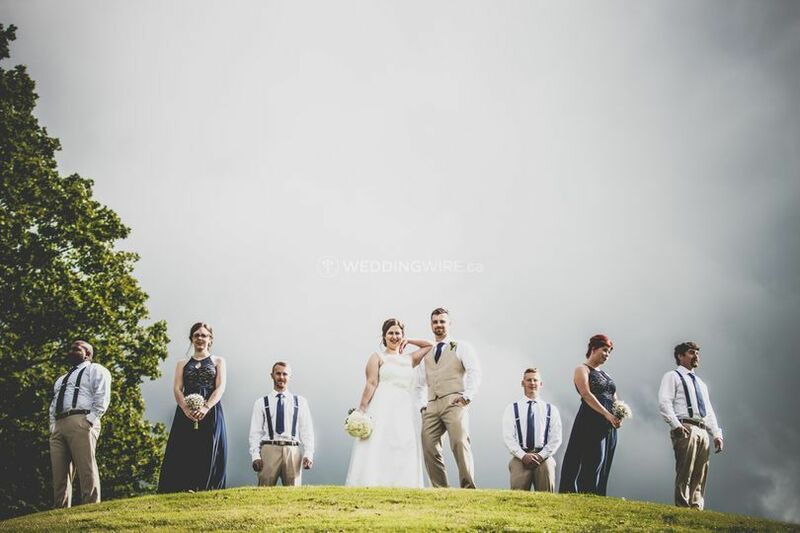 Family and friends can revel in the tranquil atmosphere while enjoying one another's company and the joyous moments that occur throughout the nuptials. 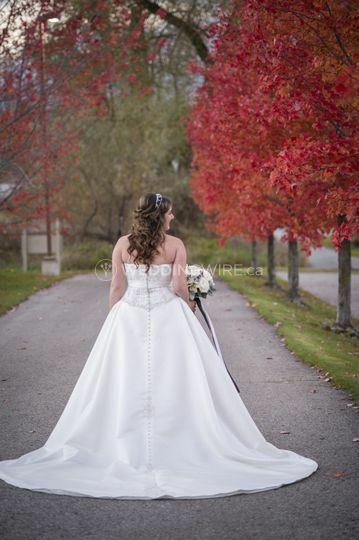 They understand that the planning process can be a stressful one and they are dedicated to doing their part in making the organizational process as stress-free as possible by accommodating any needs of the future newlyweds. Innisbrook only holds one wedding per day and so you are sure to receive exclusive attention from their on site certified wedding planner and courteous staff. 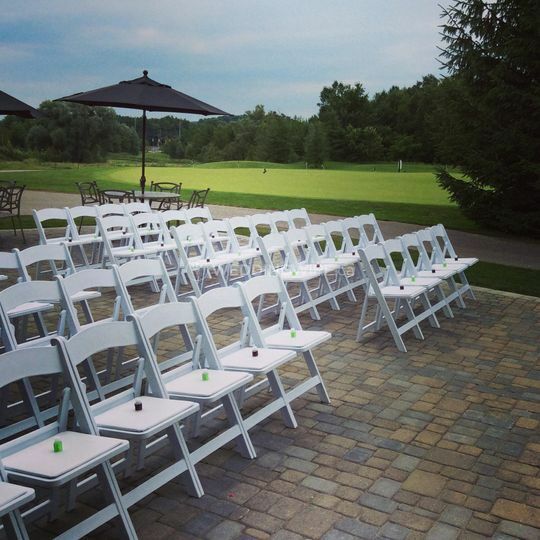 The Innisbrook Golf Course offers both outdoor and indoor spaces for wedding ceremonies and receptions. The Terrace room is available year round and provides a warm and welcoming ambiance. 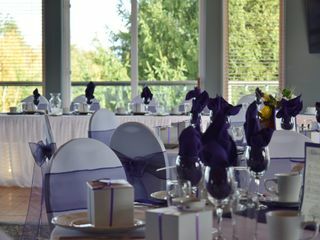 The Clubhouse room is avilable from October until April and features grand windows which allows for an event that is brought alive with natural light. 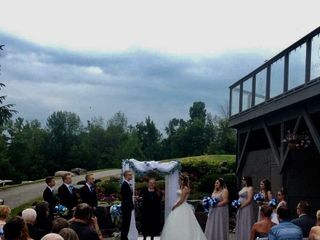 In addition, ceremonies can also be held outside amongst the spectacular and gorgeous grounds. Capacity ranges from 40 to 136 guests for dinner. 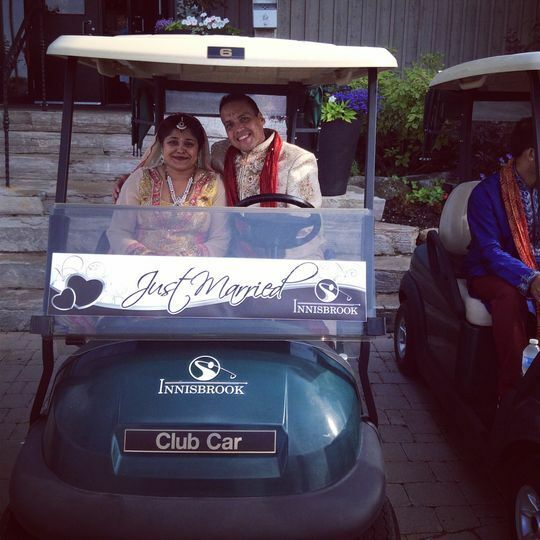 Innisbrook offers all inclusive wedding packages as well as custom a la carte pricing. 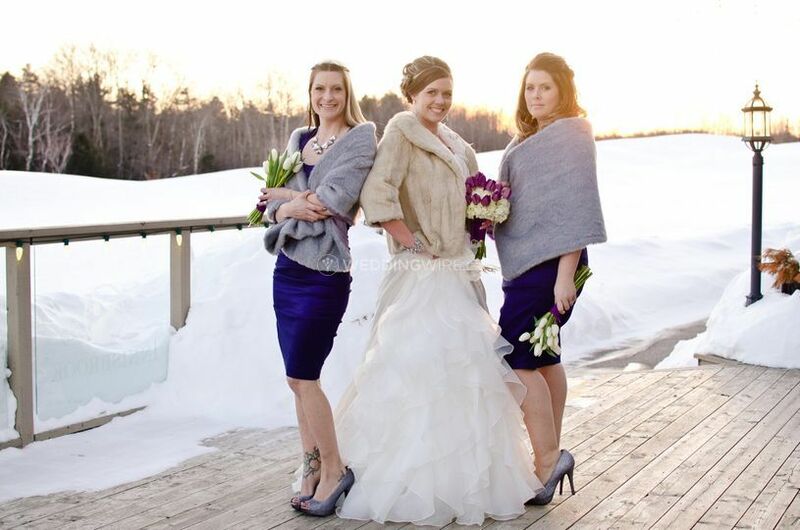 Their services include catering, bar, coordination with outside vendors, set up and clean up. Their talented and passionate on-site executive chef designs menus with a variety of delectable offerings. 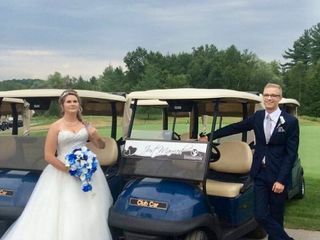 In addition, they provide event items and furnishings such as tables, chairs and the use of a "just married" golf cart. 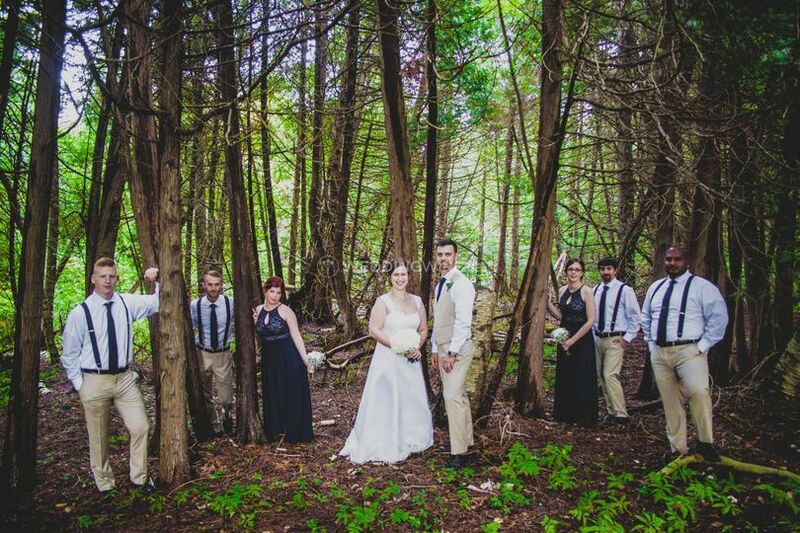 My son and now wife picked this venue as it was beautiful, local, affordable, and the event planner Jessica Morris was beyond wonderful. She explained everything and our options very well, was also great with our nerves at both the rehearsal and wedding. 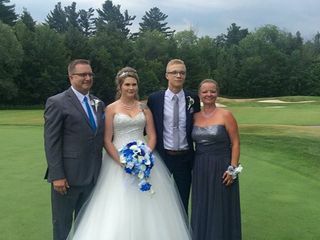 Jessica made it all come together just the way my son and wife wanted, and seeing them with smiles beginning to end just showed how wonderful an experience they had, along with the rest of us. The venue, price, staff, location was fantastic. Thank you so much for your kind words. I am so happy to hear that you were all pleased with everything. 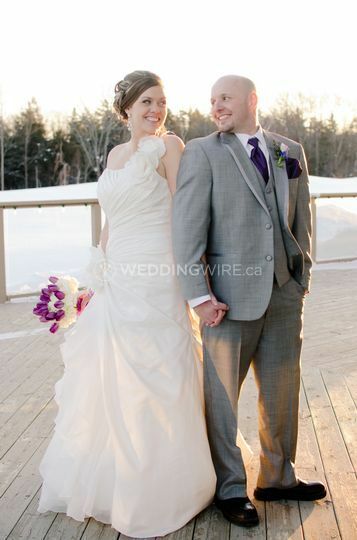 It was an honour being able to be a part of Justin and Mandy's big day! 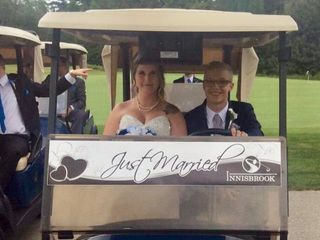 Jessica and the team at Innisbrook Golf Course were absolutely amazing to deal with and we are SO pleased we chose this venue for our ceremony and reception! 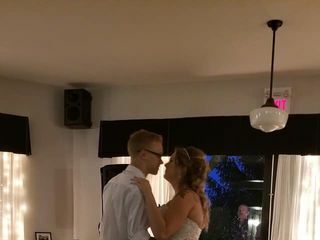 Getting married at the end of October meant that we had the whole facility to ourselves, so we had our ceremony downstairs in the Terrace Room and we enjoyed the Clubhouse Room for dinner and the reception. 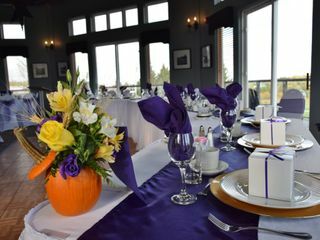 The golf course itself offered stunning locations for our photos amongst the fall colours and the clubhouse offered great opportunities for inside photos as well. The food was to die for and I would certainly recommend the chicken and beef, as well as their many desserts! We can't thank Jessica enough for all of her hard work that she put into making our wedding the most magical day of our lives. Every time we had a small question she was right there answering it for us, putting our minds at ease, even when it was "wedding season" and she would have had many other brides and grooms on her plate too. She would always make you feel important, even if your wedding wasn't for another couple of months. Thank you so much for your review and feedback. 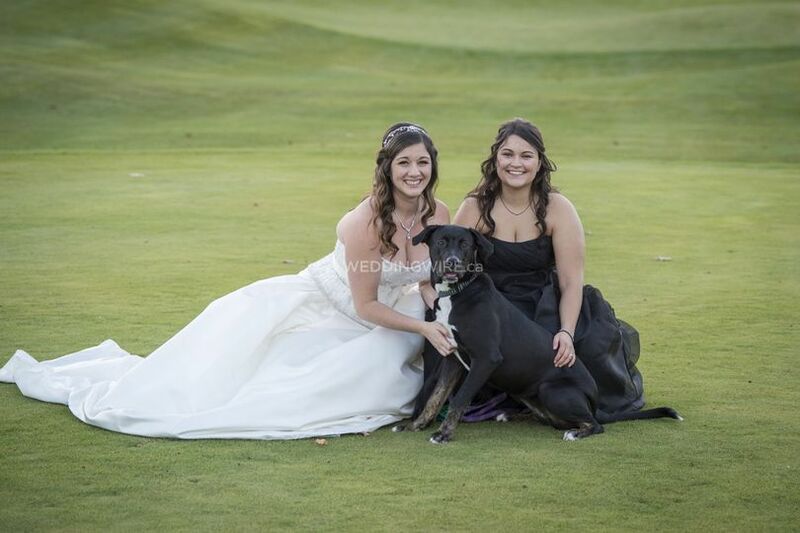 It was such a pleasure to be a part of your wedding! Thanks again and have a fantastic day!